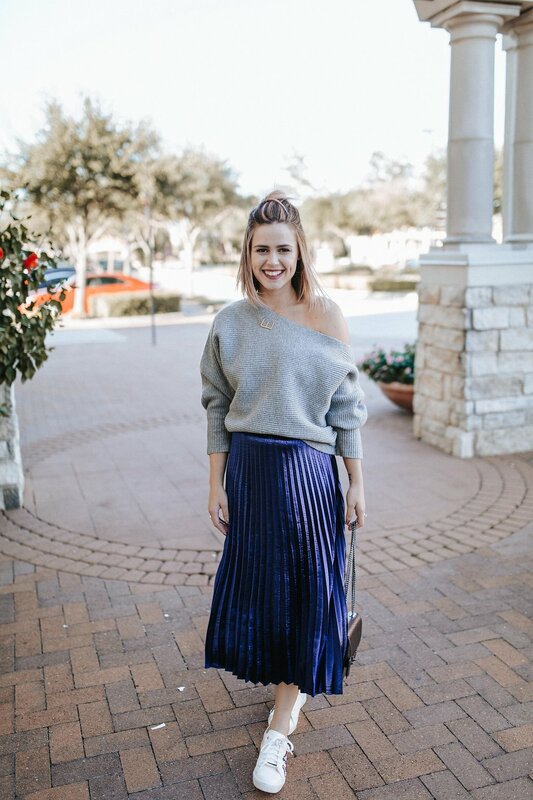 If you don’t own a pleated midi skirt by now, then it’s time to get one. 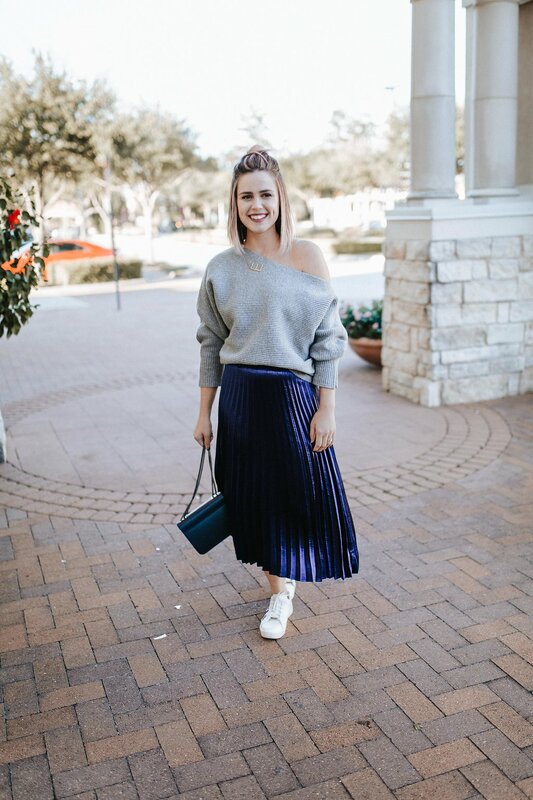 A pleated midi skirt is a closet staple that can be worn all year round and dressed up or down like I did today. 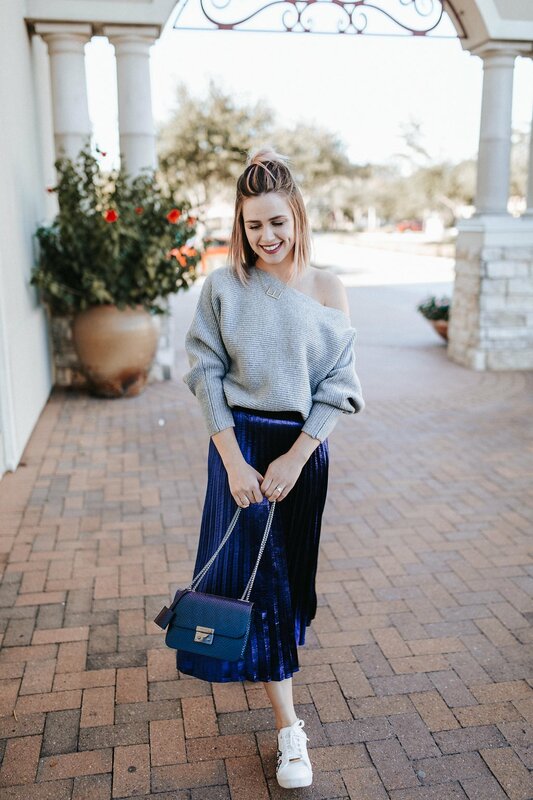 I bought this skirt a while back at Nordstrom (in store) and believe it or not I got it for under $20! A total steal if you ask me! 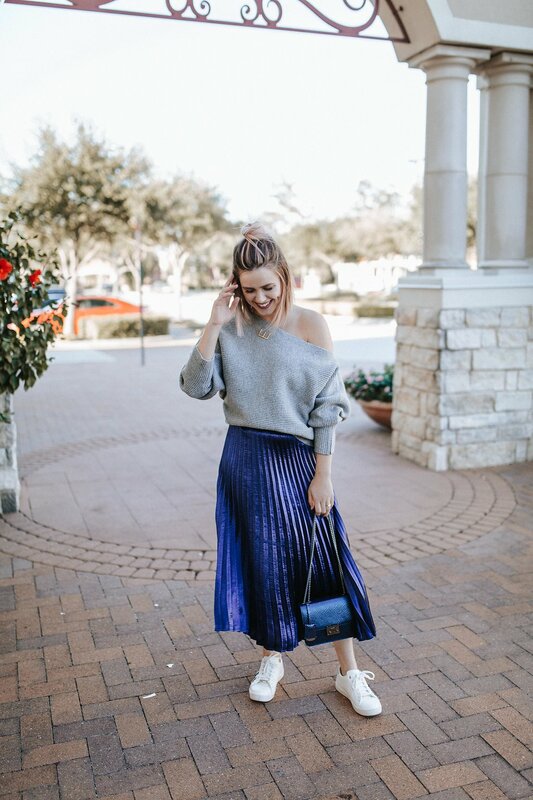 I wanted to style this pleated midi skirt differently than just heels and a top. 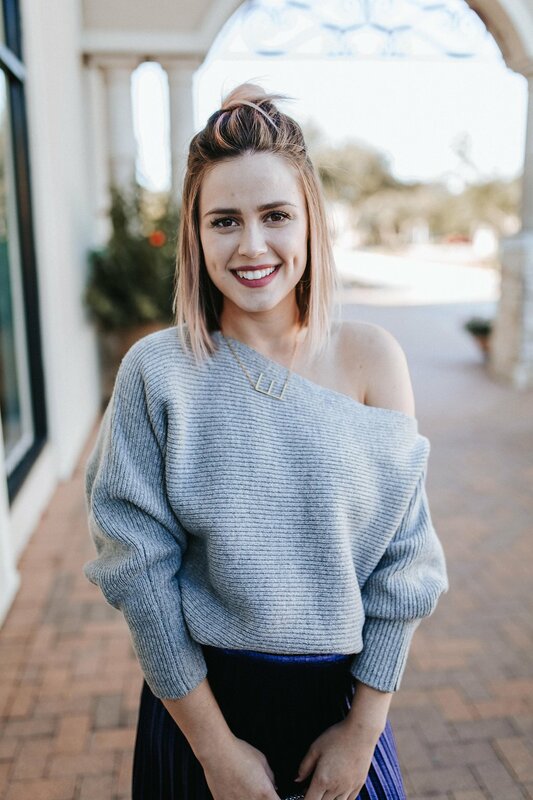 Since we are getting colder temps, I thought hey, this off the shoulder sweater would be perfect! To make it casual, I added my fashion sneakers. I read an article the other day saying how heels are not worn or sold like they used to. 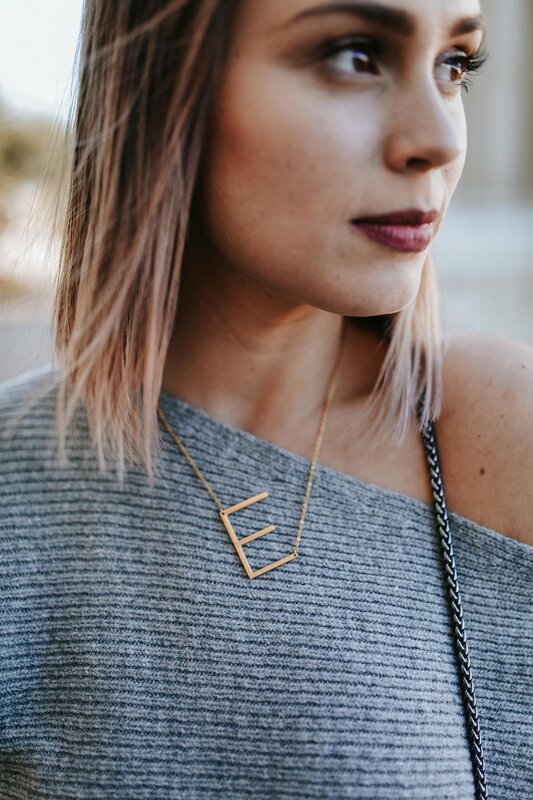 I love the idea of mixing and matching pieces and making a look unique! Fashion sneakers have been a huge trend this year. I also think this would be an appropriate holiday look. 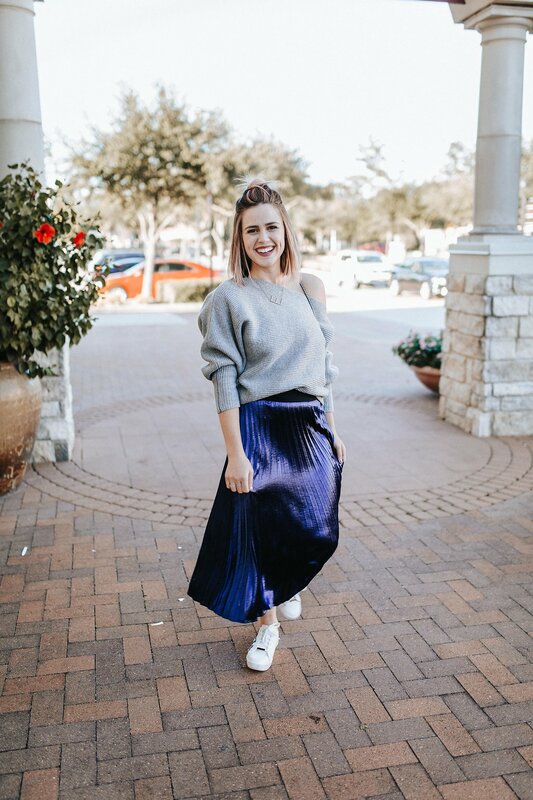 It’s not too flashy, but the satin midi skirt gives a little bit of sheen to it. But it’s still comfy enough to keep you comfortable while you stuff your face with turkey. 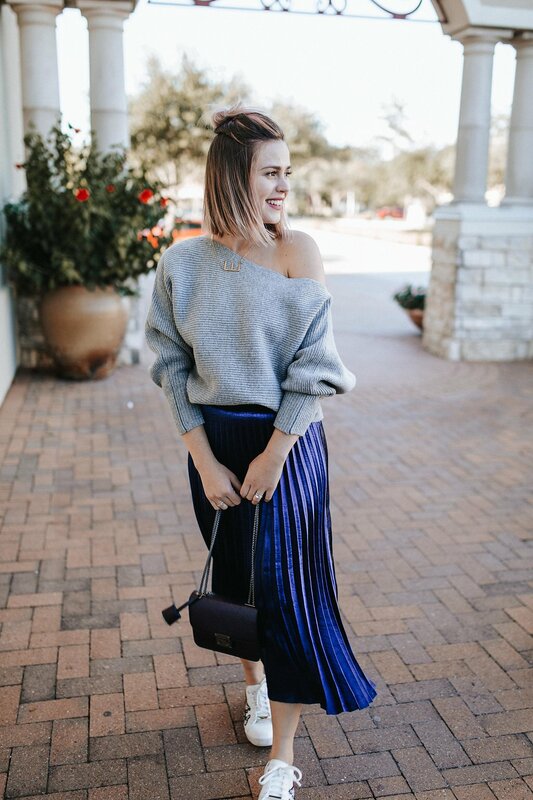 What do you think, is this a look you could wear? 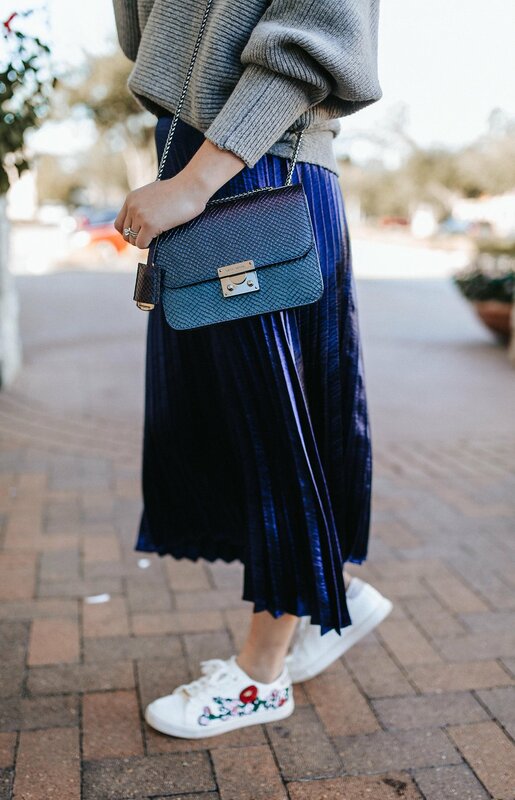 Do you love the fashion sneaker trend? Share your thoughts below!